Having seen her brother’s life ruined by addiction, teacher Lexi Thompson refuses to sit idly by as her students get seduced into the drug scene. She’s even willing to follow one teen in the hopes of finding—and exposing—his dealer. What she doesn’t know is that the “zombie” the kids are whispering about is not merely an illicit substance.… Her quest is about to lead her into a terrifying world she never could have imagined! 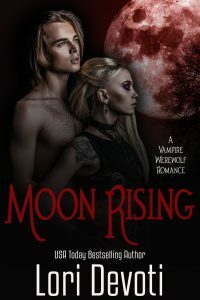 Bryce Menard is a member of the covert Fringe—a group of vampires dedicated to policing their own kind, to the exclusion of all else. Nothing will stop him from completing his latest mission—not even a beautiful human who gets between him and the undead teen he hopes will lead him right to his maker!